SRTM (Shuttle Radar Topography Mission) is a topography data generated from NASA’s Shuttle Radar Topography. We can use SRTM data for various purposes. 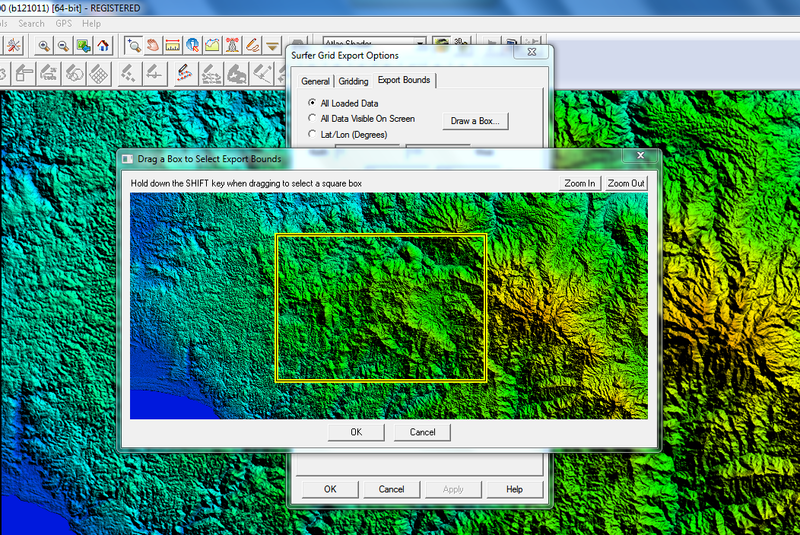 For example, we can display and generate elevation grid and contour for an area using SRTM data. 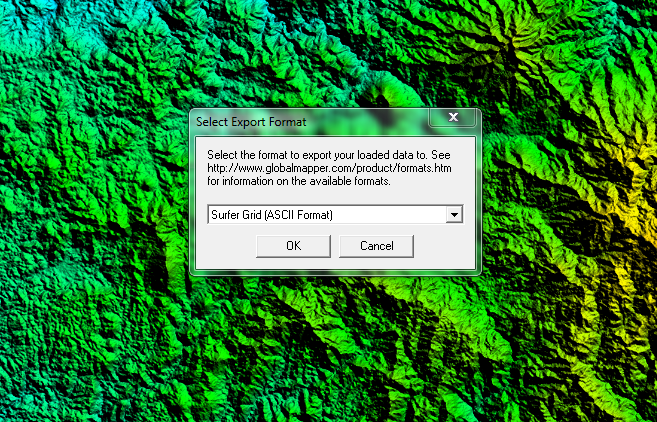 Here I will show you how to export SRTM data to elevation grid (surfer grid) which can be opened in other GIS software such as Mapinfo Professional. 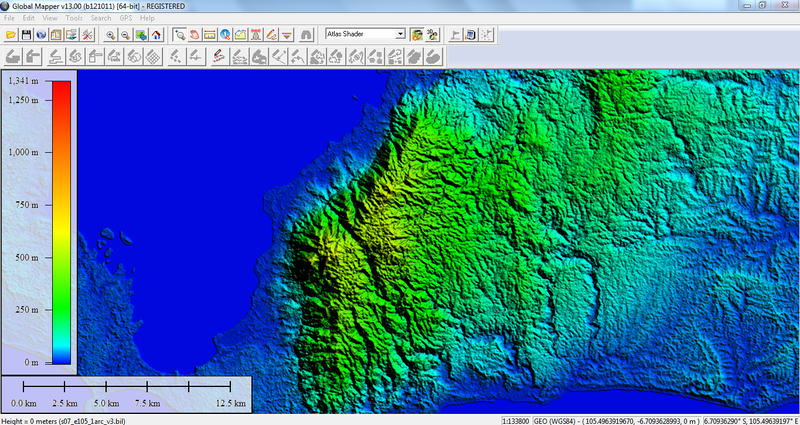 Load SRTM data to Global Mapper. The data will look like this one below. Next, go to File | Export Elevation Grid Format. Then select the destination file format. I am using Surfer Grid (ASCII format) on this example. Press OK and we can start to specify the area to be exported. You can either export the entire data or simple use the box to select the desired area only. Use the export bound tab menu. Press OK and specify the output file. You can open the output file on Mapinfo and other GIS software.